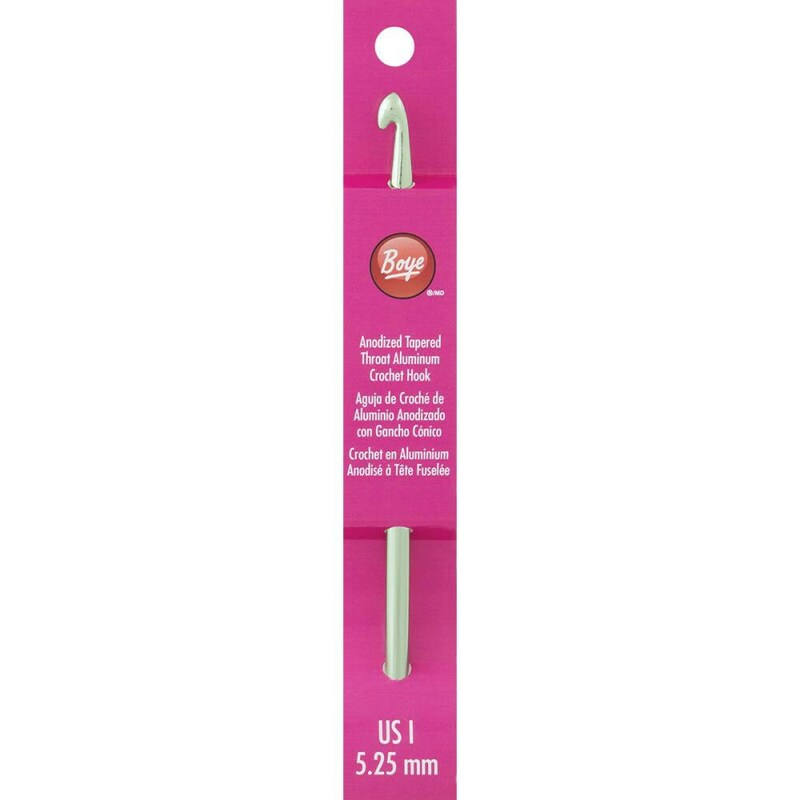 Boye Aluminum Crochet Hook size I (5.5mm), measures 6 inches long and feature the preferred tapered throat and smooth rounded head. Precision-crafted quality assures a fine finish and accuracy of gauge. Made in USA.